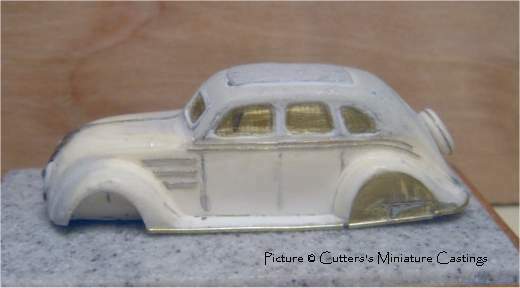 To order kits, you can contact Cutter's Miniature Castings through the 87thScale.info messageboard ! 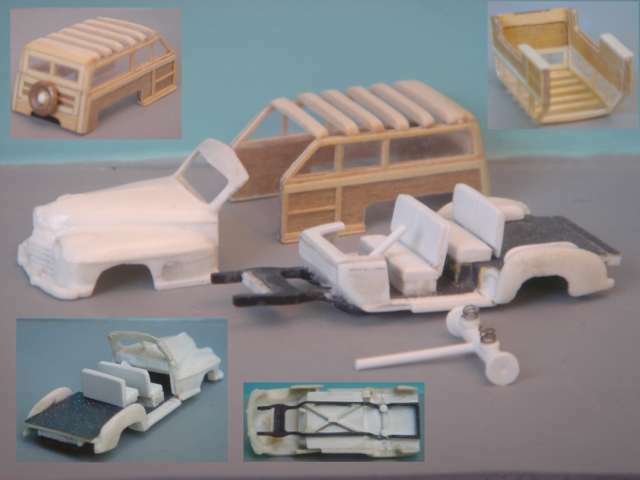 CMC 019 1941 Graham "Hollywood"
CMC 900 - preview of the master, note engine and radiator detail ! We are NOT planning on running a business as such as that is too much work and not much fun. There will not be any advertising, only what you see here on this website. 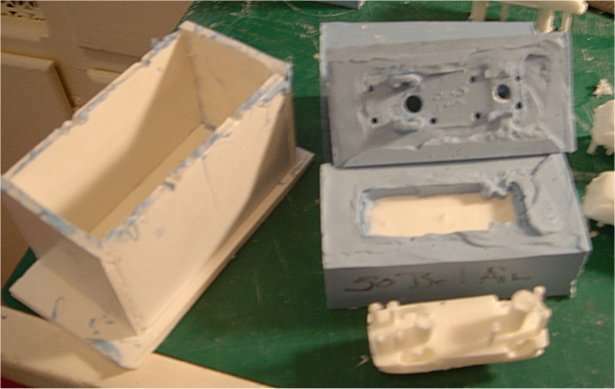 Dealers and distributers need not apply as we will not be doing volume casting. 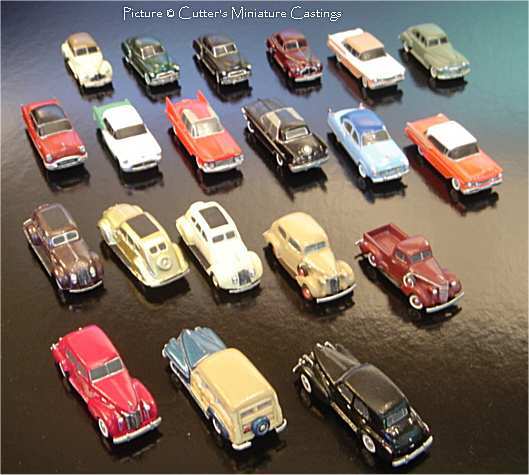 We are planning on making as many models of American vehicles from the 1940's, 50's and 60's as we can, which we will be willing to share with our fellow members of 87thscale.info. First, from past and present experience, all final vehicles will be vacuumed and pressure cast. We have found that it eliminates air bubbles and gives sharper, crisper detail. 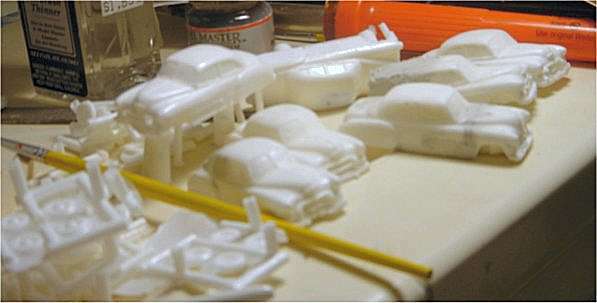 The first two part mold of a four door 1950 Chevrolet has been made and about a dozen models have been cast. 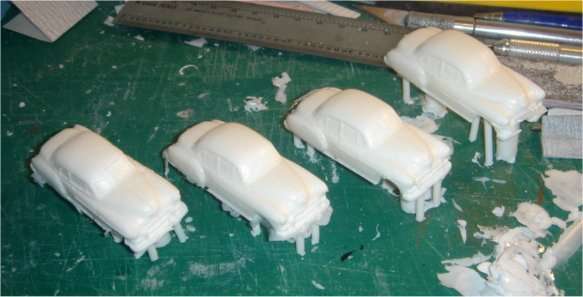 These will be reworked for final casting. 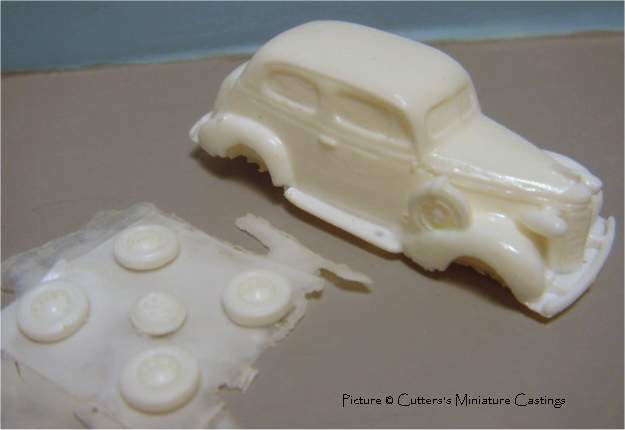 Two sets of two part molds have been made for the wheels, one set has hubcaps and the other is without hubcaps. It was common practice back then for the manufacturer to put the hubcaps in the trunk, the dealer would put them on the wheels. In 1950 Chevrolet made three body styles, the Fleetline, the Styleline and the Bel Air. Within these body styles you had the two door, four door, convertible and station wagon versions. The Fleetline also had a delivery panel truck. Each was available in a standard and a deluxe version. Read as no chrome or chrome trim. 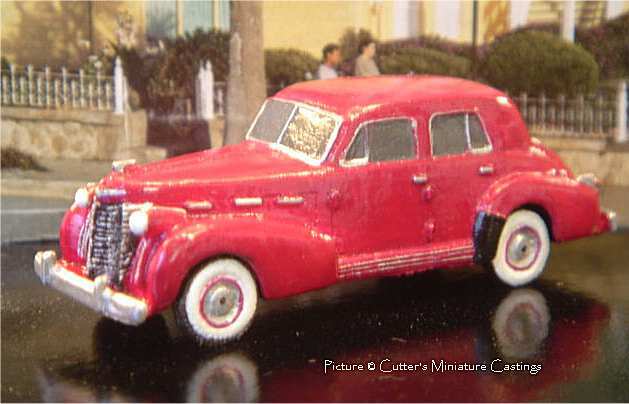 There was a skirt over the rear wheels on the deluxe models and none on the standard. 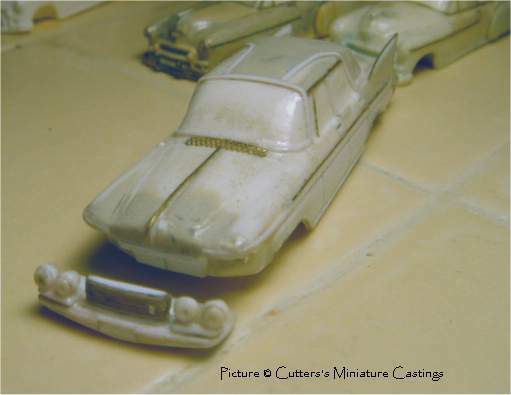 And, before you ask, yes we will be trying to make all the various models offered that year. You will notice some projects 'in the works' in the picture below. As in the past, we welcome any and all input. The more information available, the better the model(s) will be.